It’s that time of year again! The hustle and bustle of the holidays has us running around, losing sleep and more susceptible to viruses (such as the flu) and bacteria (such as strep). We are going about our daily routines and holiday preparation and then – bam – someone in the house has a fever! We don’t know if it’s the flu or some other bug, but we know that we might be down for a few days…missing work and other obligations. We know this might cost us in lost wages or medical expenses – or both! Is there a way to cut illnesses short so that we can go about our lives and just…suffer less? Yes, there absolutely is! In fact, some of these natural fever management recommendations have the potential to stop an illness so fast in its tracks it will have you doing a double-take! What are the causes of acute illnesses and fevers? One cause of fevers is exposure to pathogens in our environment, such as viruses, bacteria or parasites. Another cause of fever is the breakdown of our immune systems due to stress, lack of sleep, physical trauma or a recent illness – leaving our bodies susceptible to dormant viruses or bacteria that we carry around with us (some naturally occurring and some acquired over time) but don’t always express symptoms. Often you will see me writing about “strengthening the terrain” (the body, the immune system, our environments) so that we are less likely to succumb to acute or chronic illnesses. But in this article, I’ll be sharing what can be done to alleviate fever naturally once we have been infected. How does a fever help my body heal and is it safe? It is a well-established belief (based on much published research) within the medical community that fevers enhance immunity when a person is sick. One study, for example, was published in the November 2011 issue of the Journal of Leukocyte Biology. The study concludes that the generation and differentiation of a lymphocyte (immune cell) called CD8+ cytotoxic T-cell is enhanced with mild fever-range hyperthermia (1). Put simply, the immune cell is increased and enhanced with a mild fever. Fevers also slow down certain enzymes in your body which would help viruses to multiply. So by allowing a fever, you are slowing down viral replication, thereby allowing your immune system to do its job more efficiently. Talk about a one-two punch: a fever can slow down replication and increase immune cells. Those viruses and other pathogens haven’t got a fighting chance! Temperature Level – When is it Dangerous? 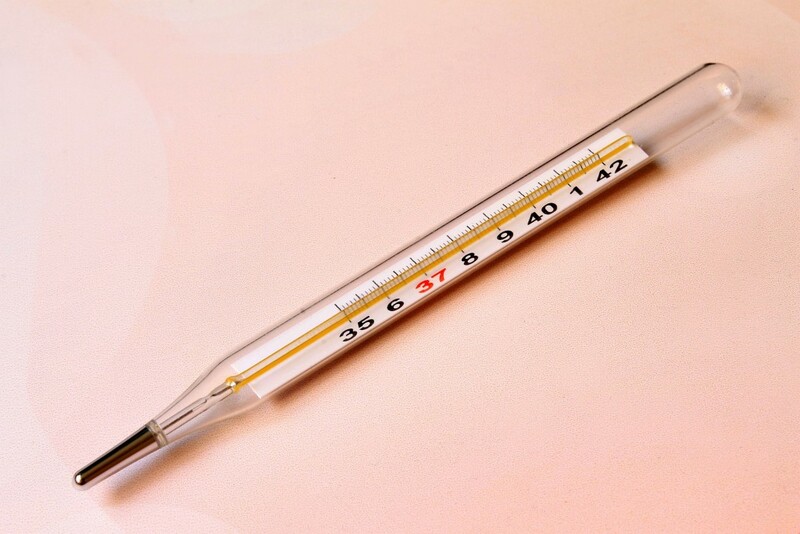 A temperature of 98.6-100.4 F is considered a low-grade fever. The Mayo Clinic website suggests that for adults, a physician should be called if the temperature is 103 F or higher, or the fever is lasting for more than three days. For children, it is a good idea to call a physician for anything over a low-grade fever. Peoples’ greatest concern with fevers, from my experience, is the fear of febrile seizures (and yes, one of my sons had one and it was one of the top three most scary-mommy-moments of my life!). It is generally accepted within the medical community that it is the “rapid rise of temperature and not the actual temperature itself” that causes febrile seizures (which I was told in the emergency room after my son’s seizure). However, according to Febrile Seizures: An Update, a paper published in the journal, Archives of Disease in Childhood, there is no data showing that it is the rapid rise in temperature that causes a fever (so I suppose the verdict is still out). Furthermore, the report states that the administration of antipyretics (fever-reducing medication) has not been shown to reduce the occurrance of febrile seizures (2). Wow! Honestly, I had to digest that one for a minute. According to the American Academy of Pediatrics, there is no data indicating that a temperature above 40 C (104 F) causes increased adverse events, however temperatures above 41 or 42 degrees C (105.8-107.6 F) is when heat-related adverse events begin to occur (3). If you have children you will be interested in the AAP guidelines coming next. If not, scroll down to the natural fever management suggestions! “…fever is not an illness but is, in fact, a physiologic mechanism that has beneficial effects in fighting infection” (3). “Evidence is inconclusive as to whether treating with antipyretics, particularly ibuprofen alone or in combination with acetaminophen, increases the risks of complications with certain types of infections”(3). 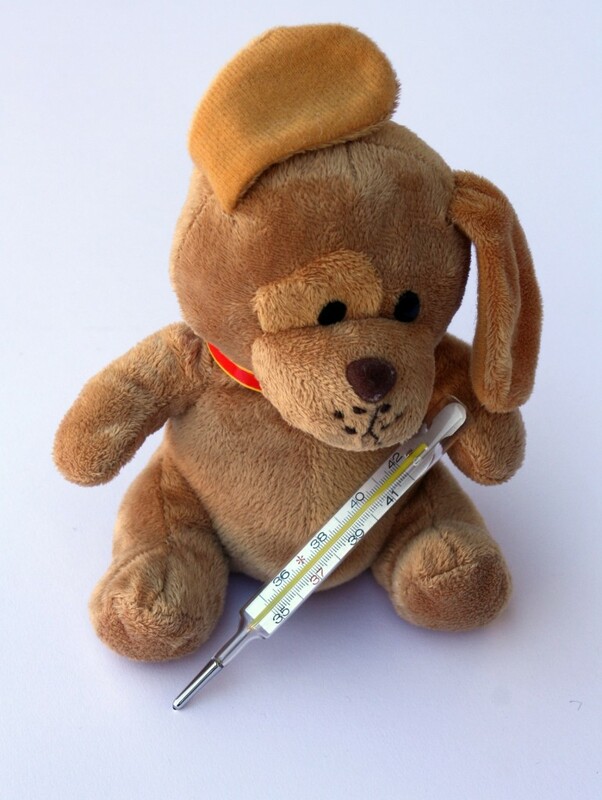 “There is no evidence that children with fever, as opposed to hyperthermia , are at increased risk of adverse outcomes such as brain damage”(3). “The most consistently identified serious concern of caregivers and health care providers is that high fevers, if left untreated, are associated with seizures, brain damage, and death. It is argued that by creating undue concern over these presumed risks of fever, for which there is no clearly established relationship, physicians are promoting an exaggerated desire in parents to achieve normothermia by aggressively treating fever in their children” (3). “There is no evidence that reducing fever reduces morbidity or mortality from a febrile illness. Possible exceptions to this could be children with underlying chronic diseases that may result in limited metabolic reserves or children who are critically ill, because these children may not tolerate the increased metabolic demands of fever”(3). The focus in treating a child with a fever should be on making the child comfortable, rather than normalizing the body temperature. To that end, ensuring adequate fluid intake is recommended(3). It is not recommended that a child be woken up for the administration of antipyretics(3). There have been reported cases of hepatotoxicity (liver toxicity) with the use of acetaminophen. There have been numerous reports of nephrotoxicity (renal or kidney insufficiency) with the use of ibuprofen(3). There is still a question about the safety of “alternating” or “combination” therapy with acetaminophen and ibuprofen(3). My thoughts on the AAP guidelines? Actually, with the recent news about the AAP “breaking up” with Monsanto (an agricultural company which produces genetically modified seeds, pesticides and herbicides) due to the efforts of a group of mom bloggers like “yours truly”, combined with their guidelines about fevers, I am surprisingly impressed with the AAP these days (and I look forward to seeing what they will surprise us with next!). With that said, I have one child who has a history of having a compromised immune system (but he’s getting stronger each year) and he really knows how to put out a high fever in the middle of the night! So, despite the AAP’s recommendation to not wake a sleeping child to administer antipyretics, I do maintain “night watch”, monitoring his fever while he sleeps, administering middle-of-the-night natural antipyretics and, if need be, a little ibuprofen (luckily with my armamentarium, which I will share with you below, I rarely have to resort to synthetic antipyretics). The nice thing about each one of these home remedies is that not only can they lower the fever of the patient, but they can support the immune system and/or target the underlying infection. Not to mention, the pathogen does not develop resistance to natural measures (the way it does to antibiotics). Also, these measures are non-toxic and cost nothing or very little to administer. Furthermore, an abundance of anecdotal evidence has shown that when our bodies fight off infections naturally, we have a reduced likelihood of experiencing a rebound effect (a “replay” of the infection). So without further ado, here is how I do it! These are the most commonly-used homeopathic remedies for fever, but there are several others. I have had experience with all of these remedies and they have saved us from quite a few trips to the emergency room, when nothing else would bring down a high temperature. For mild-to-moderate acute illnesses which include fever, you can use a 30c or 200c potency of these homeopathic remedies. 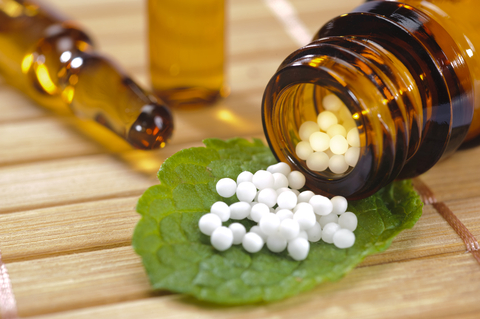 For more severe illnesses, it is advised that you consult with a trained homeopath (and of course, contact your medical doctor). …is a homeopathic remedy which has been found useful in suddenly occurring fevers due to illnesses which began after a sudden fright or exposure to cold/cool weather. One indication that aconite may be useful to someone is that they may be acting especially panicky. Aconite is most useful when started within the first 24-36 hours of an illness and has been known to “arrest” the illness abruptly. Aconite has been useful for other symptoms of illness as well, including cold symptoms and wheezing. …is a homeopathic remedy which is useful for suddenly occurring fevers which accompany intense symptoms such as red skin, eyes and mucous membranes. With a “belladonna fever” the temperature tends to run high and the person feels very warm and dry to the touch (most of the heat is located in the torso and head, with possibly cool extremities). In extreme illnesses, the person may be acting delirious and/or may be experiencing hallucinations. If this is the case, a higher potency of belladonna may be useful and you should contact a medical professional. …another homeopathic remedy for fever, is known for its slower-onset and less intense symptoms. A person for whom ferrum phos could be useful for is someone with slow-onset of a lower-grade fever (and/or cold symptoms). …is a homeopathic remedy specific for flu-like symptoms. If you suspect that you have come down with the flu, consider this one. Some homeopaths suggest taking this once a month to prevent yourself from being infected with the flu. 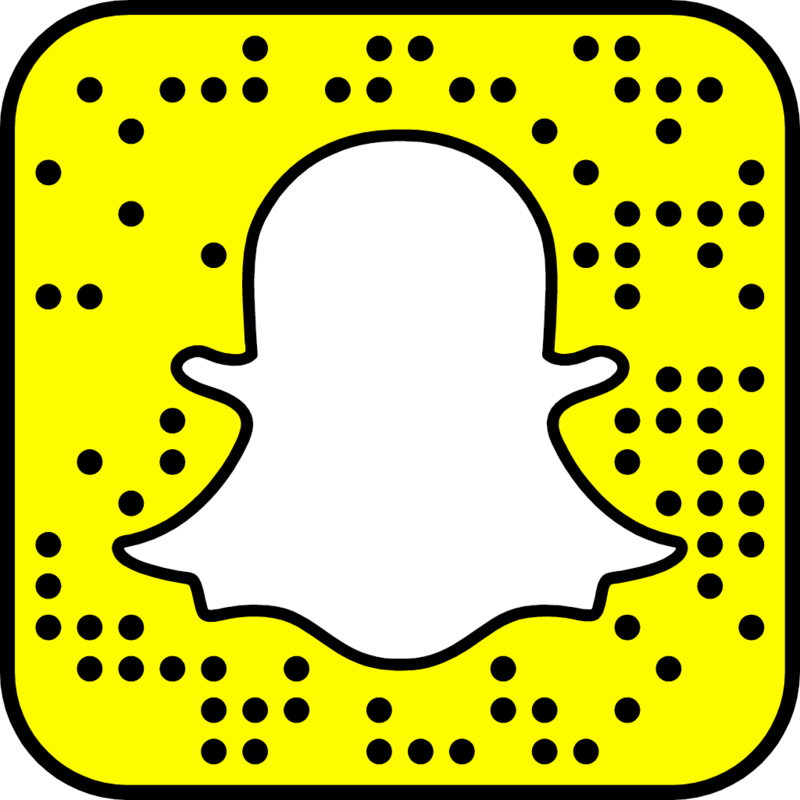 Influenzinum is sometimes available in health food stores, or always online. These are a few of the essential oils that have shown helpful in reducing fever. 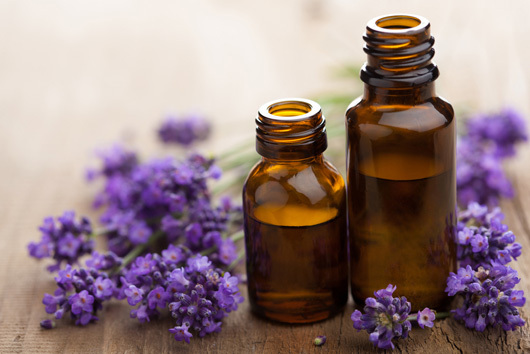 It is important to purchase essential oils from a reputable company. My experience with essential oils for fever-reduction has what I call the “wow” factor. As in, I have watched the fever come down and “break” rapidly and have said “wow”! I have used a few of the essential oils on this list in a combination immune oil-blend from a reputable essential oil company. Wow! …is known for not only its use in reducing fever, but also in assisting with respiratory function. …has been shown to improve fever, immune function and asthmatic symptoms. …has been shown to improve symptoms of flu, fever and sore throats. …is helpful for asthmatic symptoms, bronchitis, fever/flu and other infectious illnesses. …can be used as an antiviral, antifungal and a fever reducer. When looking for herbs, it is important to look for a product which states “standardized extract” on the label and follow package instructions (unless you have been advised by your natural practitioner to use it otherwise). Also, make sure you are purchasing the herb form of these products, as some of these medicinal plants come as an herb, an essential oil, a flower essence or a homeopathic remedy (which all have slightly different uses and have their time and place…but for now we are looking at herbs). The study involved 60 patients who had been suffering with flu symptoms for 48 hours or less; 90% were infected with the A strain of the virus, 10% were infected with type B. Half the group took 15 milliliters of Sambucol and the other group took a placebo four times a day for five days. Patients in the Sambucol group had “pronounced improvements” in flu symptoms after three days: Nearly 90% of patients had complete cure within two to three days. Also, the Sambucol group had no drowsiness, the downside of many flu treatments. The placebo group didn’t recover until at least day six; they also took more painkillers and nasal sprays (adapted from an article at webmd.com). …is an herb that acts as a diaphoretic to help open up your pores to allow you to “sweat it out” (the fever, that is). Yarrow has shown benefit for wet, mucousy conditions such as sinus infection and lung congestion, as well. It acts as an anti-inflammatory and an antimicrobial, which makes it great for assisting the body with flu symptoms. Yarrow can be found as a liquid tincture or a capsule and can also be infused to make a tea. …is an herbal remedy also known to lower fever and assist with other ailments. The herb is made from the bark of the willow tree (most therapeutic preparations are made from the white willow tree). One of its active constituents is called salicin, chemically similar to aspirin’s active ingredient, acetylsalicylic acid. Studies suggest that Willow Bark’s anti-inflammatory effect takes longer to initiate than aspirin’s, but that the effect lasts longer. White Willow Bark is found in liquid tincture and capsule preparations. …is named for its ability to help the symptoms of what used to be called “boneset fever” (a fever or flu which results in an achy feeling deep in the bones). It has a reputation for being tremendously helpful for lowering fever and as a decongestant (helpful for bronchitis). Boneset is best used as an infusion or warm tea, drinking several cups in bed to induce sweating, but can also be found as a liquid tincture or in capsules. If you or your child are experiencing decreased consumption of food and/or liquids, electrolyte replacement can prevent dehydration and enhance the outcome of the illness. The following electrolyte replacement beverage was developed in my “Simply Holistic Kitchen” and has the perfect balance of sweetness, tartness and saltiness for the palette! Of course, if your child refuses to drink it due to the “holistic taste”, Pedialyte (which comes without dyes) and Gatorade are reliable stand-bys. Be sure to heat the water before adding the ingredients. If you only have one type of salt on-hand, just use a pinch or two of that. What makes this such an effective electrolyte replacement beverage? The lemon juice contains potassium and the sea salt contains sodium. Himalayan salt is an added bonus with 84 known trace minerals to give your cells a boost. And the health benefits of raw honey are innumerable (including, supporting the immune system), which makes it the perfect sweetener for this beverage! This is a trick that has shown to decrease fever, decrease head and lung congestion, and stimulate the immune system to mount a response against the infection. How does it decrease fever? The body is forced to use its own heat to warm the feet (heat is being drawn out of the body through the feet). But who wants to put wet socks on their feet!? It brings back unpleasant memories of getting trapped in the rain or snow, getting our socks and shoes wet, and feeling cold and just…yucky! Well, hang in there…you can go to the Bastyr University website for the official protocol, or you can read on as I describe how I administer wet socks in my house, making the experience as “palatable” as possible (enough so that my children will allow me to put wet socks on their feet while they are sick!). Supplies: two pairs of socks (one pair of wool socks if you have them), warm water, cold water. Protocol: First, gather everything you need by your bedside and use the restroom so that you are not forced to get up and walk around in wet socks. Next, warm your feet in warm water (for a sleeping child it may be easiest to place warm washcloths on the soles of his feet for a few minutes). Then place one pair of socks in cold water (or cool water, if you are placing on a child who will kick and scream with cold socks!). Wring the socks out as much as possible. Climb into bed and place the socks on your feet, then place the dry (wool) socks on over the wet socks. Once the socks are dry, remove them and start over or just leave them off. You could also add some apple cider vinegar to the cold water that the socks are dipped in. It is believed that the acid in the vinegar helps to draw out heat from the body. There are plenty of effective home remedies here for you to experiment with once you or someone in your home develops a fever. Personally, I like to take on illnesses from all angles. I will commonly use wet socks along with essential oils and homeopathic remedies and sometimes an herb. Most of the time, we can clear out fevers, even high fevers, within a few hours or days on our own without the help of pharmaceuticals. I hope that you find these home remedies empowering and effective in your home, too! Please contact me on my website or through my Facebook page and let me know how these suggestions worked for you! (2) Waruiru C, Appleton R. Febrile seizures: an update. Archives of Disease in Childhood. 2004;89(8):751-756. doi:10.1136/adc.2003.028449. (3) Janice E. Sullivan, Henry C. Farrar. Fever and Antipyretic Use in Children. Pediatrics. March 2011; 127 (3): 580-585. (4) Z. Zakey-Rones, E. Thom, T. Wollan, J. Wadstein. Randomied Study of the Efficacy and Safety of Oral Elderberry Extract in the Treatment of Influenza A and B Virus Infections. The Journal of International Medical Research. 2004; 32: 132-140.